Unless you’re a fly angler, you probably don’t know that Southwestern Ontario is an oasis of piscatorial delight for those who cast fur and feather. The Grand River’s tailwater attracts fly anglers from far and wide in pursuit of hatchery raised brown trout. The Canadian Heritage River boasts a variety of sports species including smallmouth bass, steelhead and pike. The Maitland, Saugeen and Bighead rivers flow into Lake Huron. There’s also the Thames and Credit rivers. Finally, there’s the numerous tributaries in all these watersheds that offer excellent fly fishing opportunities, not to mention small lakes and reservoirs created by dams and protected by conservation authorities. Southwestern Ontario offers a good selection of fly shops and fishing stores well-stocked with fly fishing gear and tackle, outfitters and professional guides serving anglers of all skill sets and experience and a number of fly fishing clubs, including KW Fly Fishers which has been in continuous operation since the mid-1970s. 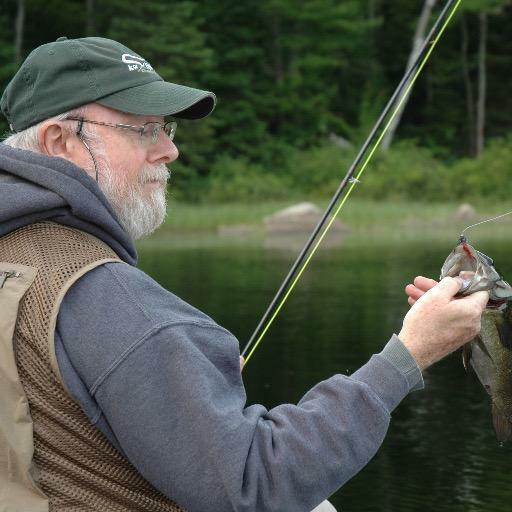 Thanks to Princess Cinemas, the area also presents one of the most popular film festivals devoted to fly fishing. A river runs through Waterloo once again with the return of the International Fly Fishing Film Festival. For the seventh consecutive year the IF4 is as eagerly anticipated as the opening of inland trout season. This year’s event — once again co-presented by KW Flyfishers — takes place April 25 in Uptown Waterloo. Screen time is 7:15 pm. Founded in 2011, the fly fishing film festival grew from a handful of screenings in western Canada to more than 100 across Canada and the U.S., in addition to South America and Australia. A couple of years ago the festival targeted Europe and Scandinavia for future growth. 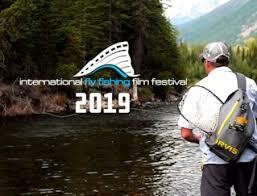 ‘We are truly international,’ confirmed Fly Fusion publisher Heather Bird, Canada’s award-winning fly angling magazine which presents the annual film festival. I talked to Jennifer a couple of years ago, the last of three decades as an arts reporter at the Waterloo Region Record. The film festival’s popularly was confirmed when Princess Cinemas hosted the festival for the first time. So many tickets were sold to fly anglers from across Southwestern Ontario that an impromptu hold-over screening was held at the Original Cinema. In response to the festival’s success, cinema co-owner John Tutt moved the event to the larger Princess Twin two years ago. BTW, the venue is licensed so anglers can enjoy a favourite beverage with their popcorn. The festival showcases a selection of feature and medium- and short-length films devoted to ‘the passion, lifestyle and culture of fly fishing,’ produced by filmmakers from around the world. When the festival began, Bird noted, it was a challenge finding quality filmmakers. Paralleling the festival’s expanding audience base, however, has been its higher profile and growing reputation which attracted increasing numbers of accomplished filmmakers. The films take armchair anglers to many of the world’s most desirable angling destinations — places that only the wealthy, those on a company credit card or those with sponsors or endorsements can afford. This is the stuff fly angling dreams are made on (to paraphrase Will Shakespeare, a fisher of words). Bird is pleased the festival has become a promotional vehicle for organizations that support fly fishing and conservation groups that support water ecology. After previewing this year’s submissions I was struck by the films that combine fly fishing with narrative threads that transcend the recreational sport. The festival’s future depends on filmmakers telling compelling and engaging stories rather than simply documenting ‘awesome’ fishing experiences in exotic locales. The program begins with a short cinematic tribute to legendary fly angler Bernard “Lefty” Kreh who passed onto that trout stream in Paradise on March 14, 2018. 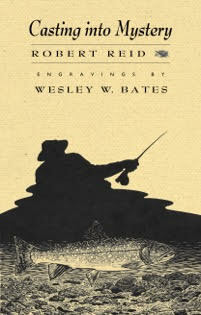 Lefty was one of the most beloved and influential fly fishermen over the last century. The Midnight Mission (by Capture Adventure Media) tells the story of a dedicated fly fisherman on a “rescue mission,” which involves bringing his former angling buddy back into the FFF (fly fishing fold) after wandering astray into televised Sunday college football. Aniak (by Todd Moen Creative) traces a day in the life of a solo mature fly fisherman (well-known American angler Brian O’Keefe) fishing for a variety of sports species in Alaska. Bigotry to Brook Trout (by Blue Forest Films) is this year’s most unconventional film because it tells the true-life story of an angler who forsakes a life of ugly racial prejudice after taking up fly fishing for beautiful brook trout. Subtitled A Watershed Moment, it is a story about survival, freedom and individual integrity. Rio De Vida (by Hog Leg Fly Fishing) is about two friends who join a community built around passion and adventure through the pursuit of wild trout. Gigas (by Fly Nation Media) follows anglers who travel to Brazil to target Arapaimas Gigas or Pirarucu, one of the largest, scaled freshwater fish on earth (think of sturgeon-sized carp). The second set begins with Lucky, a film by adolescent fly angler Meris McHaney (yes, she’s a girl) which is the 2018 winner of the RIO Amateur Fly Fishing Film Awards. One Day in Iceland (by Marco Crapo) follows a group of fun-loving American fly angers who enjoy the expensive privilege of casting lines in Iceland, after which they try (and fail) eating a variety of exotic meat from the north seas. 104 Years (by Intents Media) confirms that the joys of fly fishing transcend the nastiest weather imaginable–whether it’s the high Arctic, Belize, Iceland or Calgary. One Path (by Ross Purnell) involves the editor/publisher of Fly Fisherman magazine traveling to Mongolia in search of fly angling enlightenment. This years’s IF4 ends with The Road Home (by Fly Fusion Films). Fly Fusion editor Derek Bird recalls the sage advice of his grandfather while casting fur and feather on a lovely river far from the madness and mania of contemporary life.